Classical music fans may recognize my play on the name of this little quilt. This is what I made for Randy (barristersblock blog) for our April swap. She received it this weekend, so I can share it with you now. And since it is basically all I have sewn lately that you haven't already seen a few times, this is all I have to share. Each of the blocks I made was taken from this book. I scanned and reduced until I had them the size I wanted. Then I printed them on newsprint and foundation pieced the blocks. This shows the back of the top, pre-paper removal. The blocks finished at around 3", I believe. 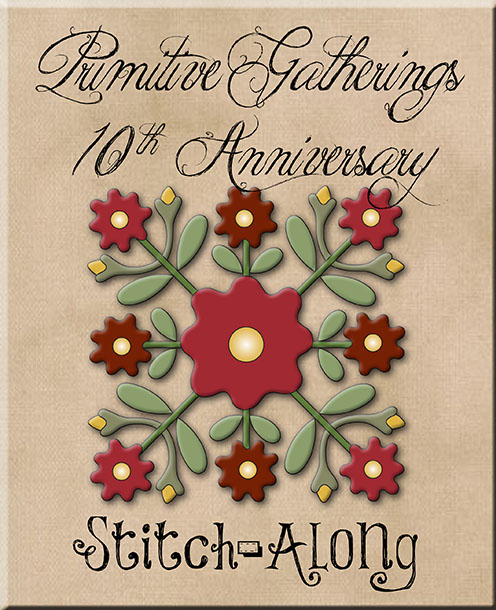 The quilting was all stitch-in-the-ditch. With blocks this small and busy, I felt like more than that would look out of place. 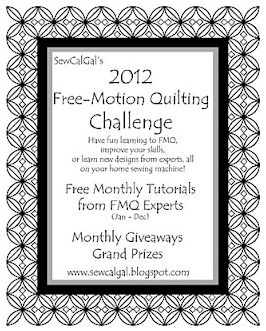 Now I look forward to May, when I have a little quilt swap lined up with another blog friend. Who would have known there were so many different log cabins? 3" blocks............holy moley...........tiny small is what you do best! It looks fabulous. Beautiful! At 3'' my eyes and hands for that matter would have rebelled:) It turned out just perfect and I am sure whe will love your signature work of art. Amazing, simply amazing! And I love those tiny bits of cheddar that anchor the entire piece. I would think this one would be a difficult piece to give away; though Randy will love it! Unbelievable!! Who would think a person can squeeze that many pieces in a 12 inch square? It's beautiful and you are amazing!! Geez Louise - 3"! I am having trouble with the 6" ones in the Moda Blockhead challenge. Paper piecing does help, but still that is a lot of tiny little pieces. I know Randy will be in awe of this project. What a fun little quilt! I'm sure she loves it! Lovely! what a fun way to share the love of these small quilts with a friend! The quilt sure turned out pretty. You do some amazing things with fabric. I'll be coming up your way for my son's graduation at the end of the week. Should have nice weather. Those tiny blocks are amazing--what a wonderful swap! Beautiful little quilt! Thanks for sharing how you did it. Stunning! In complete awe as usual of your ability to use minuscule pieces! Love it. Too tiny, but I know how the minis make you happy. Randy is sew lucky!! Sweet mini, I love log cabins so great to see all of the versions in the one quilt. I am not sure how you foundation pieced some of those tiny pieces, one deep breath and the fabric would have been flying! When I first looked at it, I was thinking that each of the blocks was around 10-12" and thought it was terrific at that size. Each block 3" that is simply amazing. You did a great job, I know she is going to be thrilled with it. 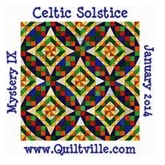 That is one of the prettiest quilt swap challenges ever. I love the colors and especially the theme. Log cabins are one of my most favorite blocks. It was clever to do a block in so many variations. You are brilliant!!! And thanks for sharing how you reduced their sizes too. what a delightful little quilt Janet! I love the color combination you used. Can't wait to see the quilt Randy made for you! Oh, Janet, Randy's quilt came out perfect to the T and the sashing you decided on made every one of those fabulous blocks just pop!! Hey, I must have missed your call when you called to ask me to pick off the papers for you!! Soooo sorry!! Hope you had fun - I know it's your fav!! 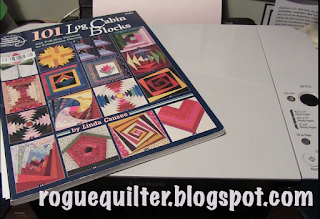 I just love quilting too and can't wait to see what Randy made for you!! What a treat to view these pics...I love log cabins, these are most special! Gorgeous, but certainly not simple, and the fabrics are beautiful too! I don't know how you make every project so incredible! ---"Love"
So tiny and wonderful! Are you continuing to swap with her? I didn't realize it was a monthly challenge. What a good idea. That is truly a treasure! It is stunning Mom...really beautiful! what did I do to deserve receiving such an amazing little quilt?? In awe doesn't even begin to describe it. You did a fabulous job, Janet. It's just great! Thank you so much!! As I said to Randy - Wow!!! This is a show stopper. Beautiful. Your little log cabin quilt is beautiful! Love the fabric line too. Cute swap quilt. I bet she loves it. Very clever Janet - when I think of all those blocks being 3" finished, I break out in a sweat! It's gorgeous...I'm sure Randy really did love it, and I'm looking forward to seeing what you receive! Another gorgeous mini quilt and I love the mulberry and rose color combinations! Your header rainbow photo is awesome! Such a pretty quilt - can't wait to see Randy's take on the rules. I love everything about this quilt! Wow!! what an incredible mini - or lots of minis in one! Lucky Randy! that is gorgeous...........where did you get the book??? A Finish, a Challenge, and a LOT of blue plaid!